In less than 2 years in the real estate industry, Matt Hilldoerfer was already making headways as one of the rising stars of Baltimore real estate. 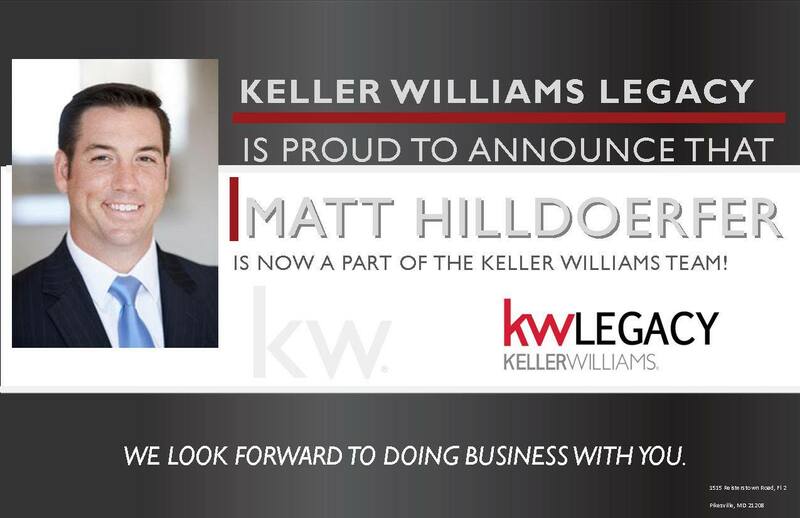 In joining Keller Williams Legacy, one of the fastest growing brokerages in the world, Matt now has access to proven models, systems, and tools that will fuel his success for years to come. Matt holds the coveted GRI, ABR, and SRS designations and is a Penn State alum. He is a resident of Baltimore City and serves the entire Baltimore Metro area.